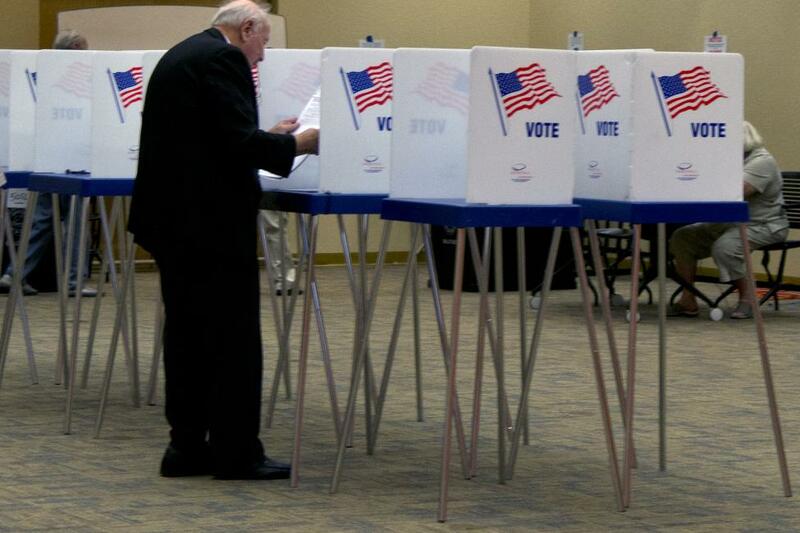 The U.S. Senate has rejected a congressional proposal to spend $250 million on state election security, with less than 100 days to go before the key midterm votes. The Democratic legislation was introduced as a measure to counter potential attempts to interfere in the important November elections. Sixty votes were needed to pass the measure, which was spearheaded by Sen. Patrick Leahy, D-Vt. It was defeated by a vote of 50-47. Sen. Bob Corker, Tenn., was the only GOP lawmaker who voted for the bill. [post_ads]Republicans argue the additional money is not needed because states have not yet spent nearly $400 million Congress approved for security in March. "We don't know how the first $380 million has even been spent, and the intelligence committee did an extensive research on how much money was needed and the $380 million amount was what was needed for the moment," said Sen. James Lankford, R-Okla.
State officials say the money hasn't fully been spent because of bureaucratic delays. "We need to build up our cyber wall in order to adequately protect our nation," New Mexico Attorney General Hector Balderas told ABC News. Balderas was one of 21 state attorneys general who sent a letter to Congress last month asking for the extra security funds. "The integrity of the nation's voting infrastructure is a bipartisan issue, and one that affects not only the national political landscape, but elections at the state, county, municipal, and local levels," the letter said. Leahy said reacting to electoral attacks, instead of being proactive, is a mistake. "Let's not after an election find out that this country was defenseless against attacks from Russia and say oh, gosh, we should have done something," he said. Cybersecurity and foreign interference experts warned lawmakers Wednesday that threats from Russia and others seeking to influence U.S. elections are getting worse. "As we focus on the past, we are missing what is happening and what will happen again," said Laura Rosenberger, director of the Alliance for Securing Democracy and a fellow at the German Marshall Fund. A similar measure was rejected last month in the House.